I introduce the core pat-style in the custom order page. I did not understand the difference of the core at all before entering SwalloSports. I thought whether anything was the same only by appearances being different. However, it was wrong when I studied it well! 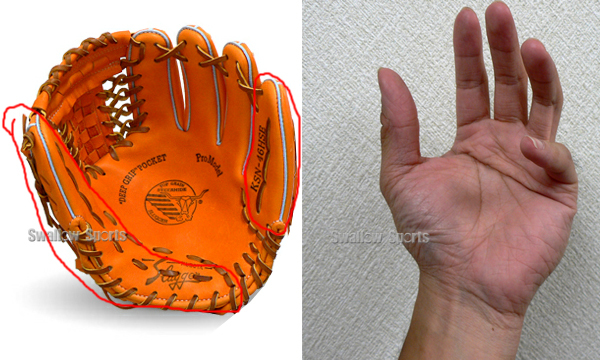 At first I want to introduce the internal structure of the glove before introducing "a core". It is the glove which I received for a request of the glove repair in old days. Two left white thing is called "a core". the long thing lead to a palm from a thumb. 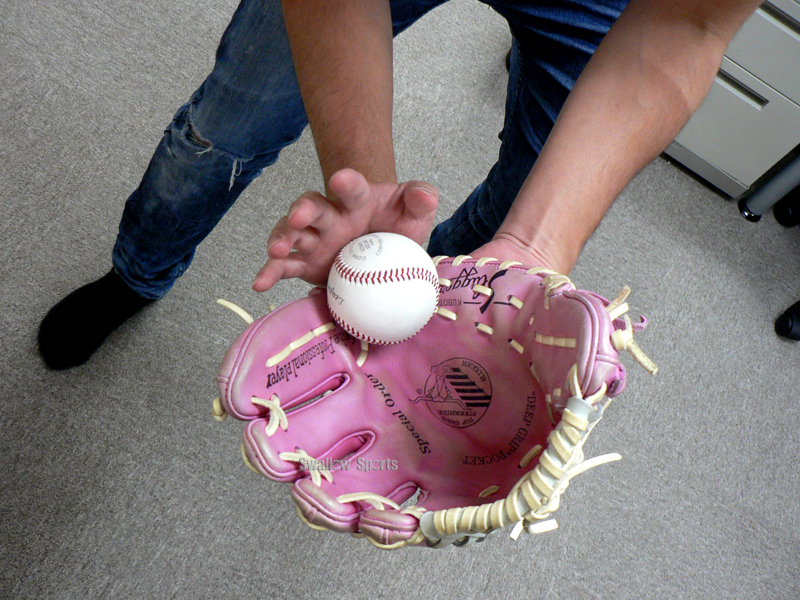 It may be said that "the core" is the bone of the glove. 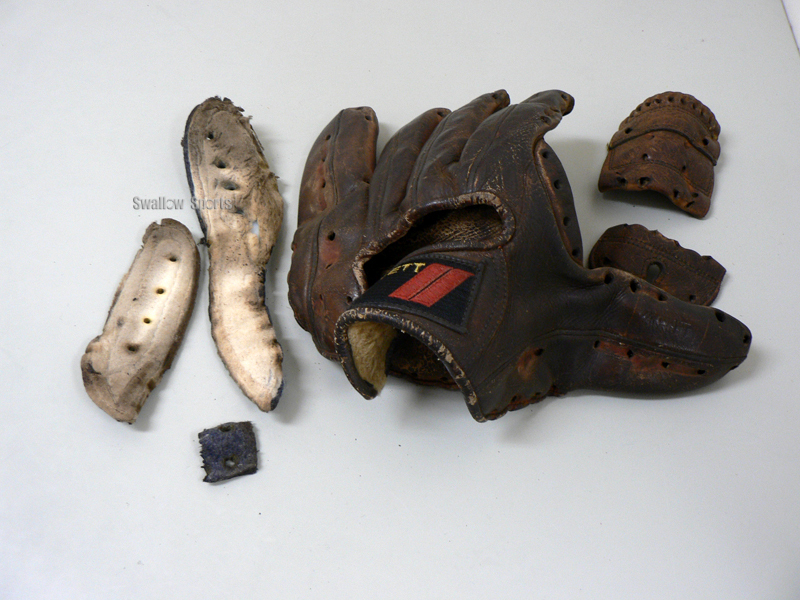 The overall model of the glove is decided in the form of the core. The red line is a part of the cores. The next introduces the characteristic of the core. At first the core has two kinds of the Vertical and horizontal. The Vertical-type core is one. The Horizontal-type core is two. One Vertical-type is a core. Because the palm (part of the base) is very hard, there are few people to choose. 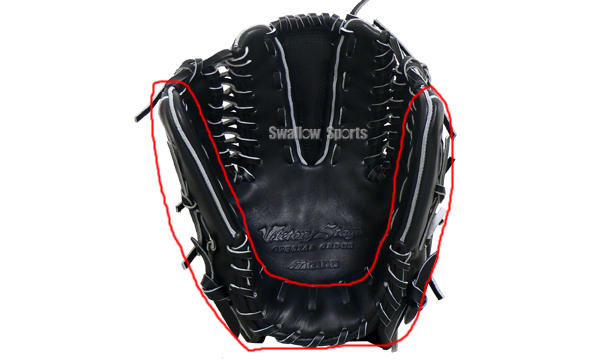 Everybody is chosen in this which it is easy to close and open of the glove well. The next introduces difference between Horizontal-type3 and Horizontal-type6. Horizontal-type3 :　It is a model used most. Close and hardness is Just good. and the space with the core of the thumb is large. 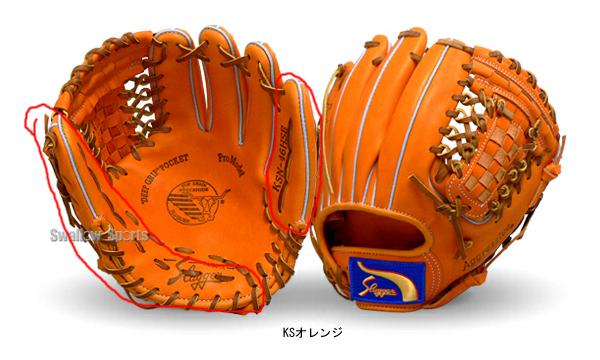 ※ It is used for a glove of the Kubota infield well. Please see the part that a little finger bends. 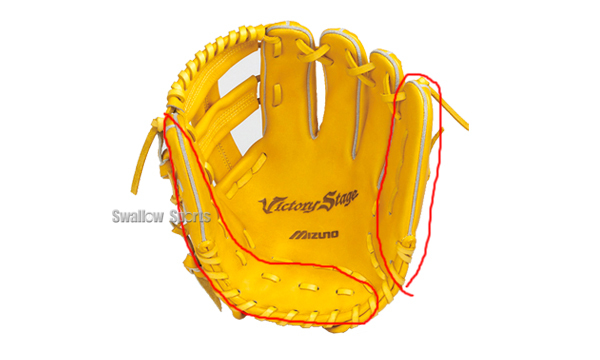 The design of this core largely has easiness of catching hold of with a ball. Horizontal-type 2,4,5 is different from the strength of the base part in hardness. 5 is most hardest. the Vertical and horizontal mix! !